Gaming laptops have signed up to those ultra-thin designs that surprise us again. 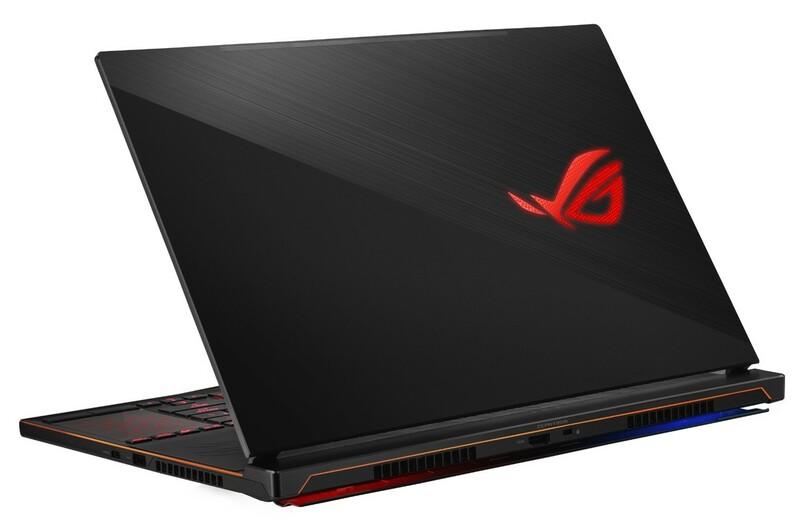 So much so that we are facing the ASUS ROG Zephyrus S (GX531), the thinnest gaming notebook in the world according to the manufacturer, with a thickness of only 15.7 mm. This thickness does not prevent the integration of the latest generation components, and in fact we have one of the most powerful 8th generation Intel processors and also with an NVIDIA GeForce GTX 1070 MaxQ that makes this team one of the most promising if you are looking for gaming power and thinness. Now the laps are lowered a bit in the graphical section to gain in the field of thickness, while characteristics such as the 50 Wh battery that benefits from another sacrifice are maintained: the screen does not have G-Sync support, but the good news is that it does support 144 Hz refresh rates. The processor chosen, an Intel Core i7-8750H boasts six cores and twelve threads of execution, plus a TDP of 45W that seems even ambitious for a team with this ultra-thin and almost ultralight chassis (2.08 kg in a gaming device) they are a real surprise). It is curious how in that configuration with the GTX 1070 MaxQ can integrate up to 16 GB of RAM, because the variant with a GTX 1060 ($2099) can integrate up to 24 GB of RAM. The other difference is that the latter has a 180 W power adapter while the model with the GTX 1070 includes a 230 W.
More surprises in the connectivity section: there is no native Ethernet port (we will have to use an adapter), and no USB-C port with Thunderbolt 3 interface, but we do have USB-C and USB-A connectors that support different USB interfaces 2.0 and 3.1. 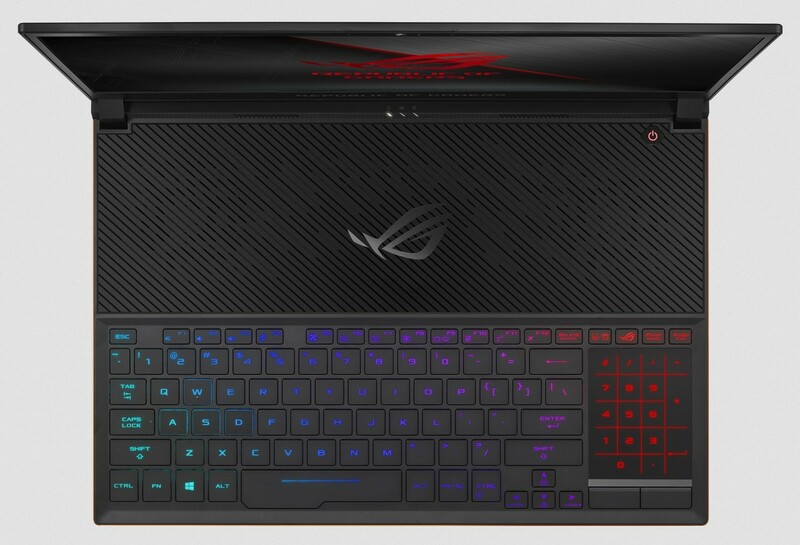 The design of this model is basically the same as ASUS offered with its model from last year, the ASUS ROG Zephyrus. The chassis is made with a magnesium alloy in the part of the ventilation and aluminum outlets in the rest of the equipment, and dominates the black color both in its casings and interior and on its sides. When we open the screen we see how the upper part of the keyboard is actually an area dedicated to ventilation. It is precisely under that area where the so-called Active Aerodynamic System is located, improved according to ASUS from the previous version and that it benefits from a lower number of blades in the fans. The entire cooling system is monitored and controlled through Armory Crate, the new management application for the entire gaming environment to which the equipment is oriented. The manufacturer again bet on the unique touchpad “in portrait mode”which is again placed on the right of the keyboard. It is a shocking decision that ASUS wants to compensate by offering again a numeric keyboard projected on that unique touchpad. The keyboard is well distributed but it highlights especially its LED backlight system in 4 differentiated areas, as well as the support of the N-key rollover to correctly handle the pressing of several keys at the same time. The stroke of the keys is 1.2 mm, and there is special prominence of the WASD keys with which the movement is controlled in a large number of video games. 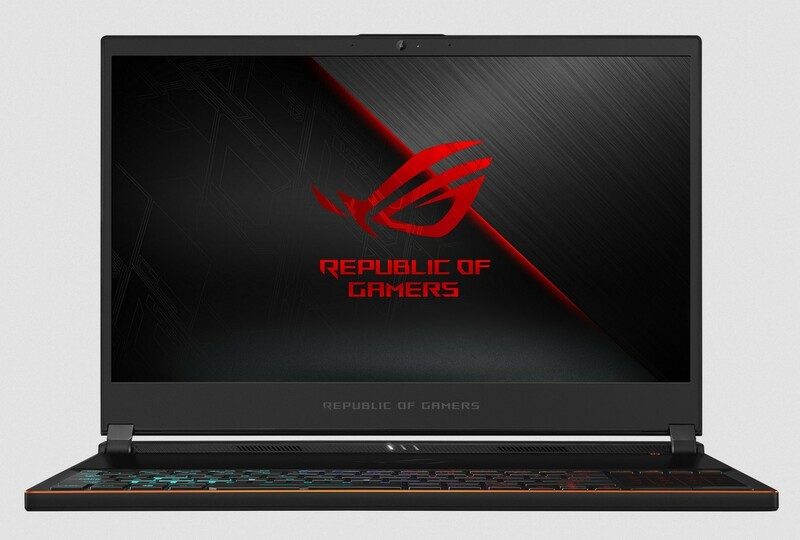 The ASUS ROG Zephyrus S in its configuration with the GTX 1070 MaxQ available in the United States from August 31, and its price start at $2199. The variant with the GTX 1060 will arrive somewhat later, and will have a starting price of $2099. We do not know when and at what prices these ultraportables gaming will appear in other countries, but we will update this information as soon as we know this information. ASUS ROG Zephyrus S. Bookmark.